73106 very slowly runs along the quayside at Weymouth with the Pathfinder Tours 1Z94 11:43 Weymouth Quay to Yeovil Junction 'Wey-Farer' railtour on 2 May 1999. 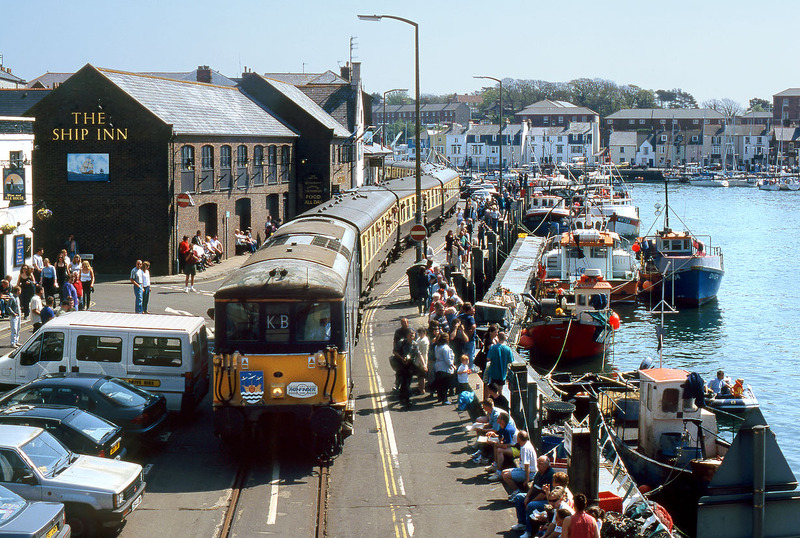 The Weymouth Harbour Tramway was opened by the Great Western Railway in 1865 in connection with Channel Island boat trains. Regular services ended in 1987, and for over a decade just the occasional railtour ventured along this unique line. It all came to and on this day, with a second identical trip to this one being the last train ever to traverse the line.